Walnut end grain countertop with permanent-finish. 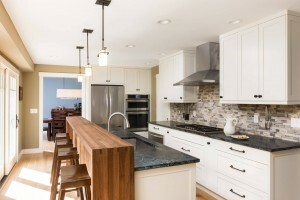 Mixing Countertop materials in your Kitchen is one of the hottest new trends in kitchen design. The best designers in the world are no longer making one phone call to achieve beautiful surfaces in a kitchen. 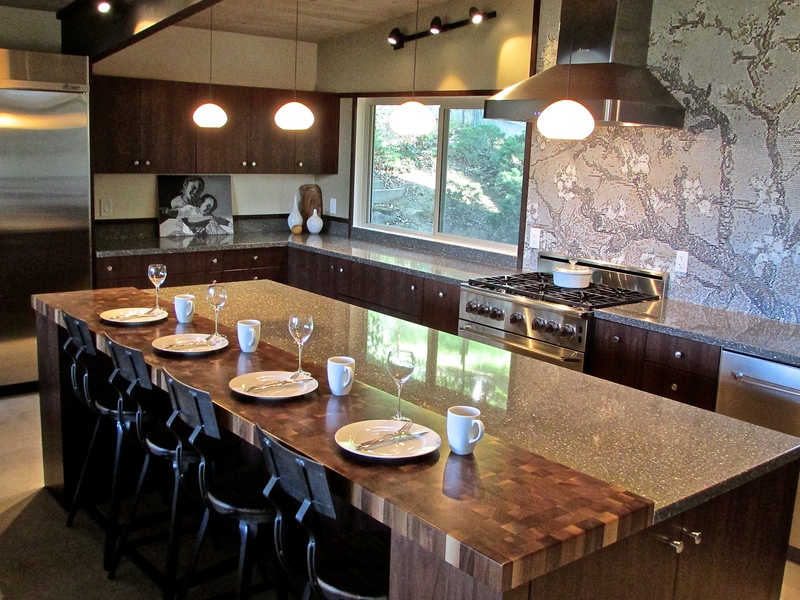 Wood has become a staple island top option in the kitchen design industry. Aside from the excellent aesthetic contrast, they also provide a practical solution for work surfaces that other materials just cannot achieve. 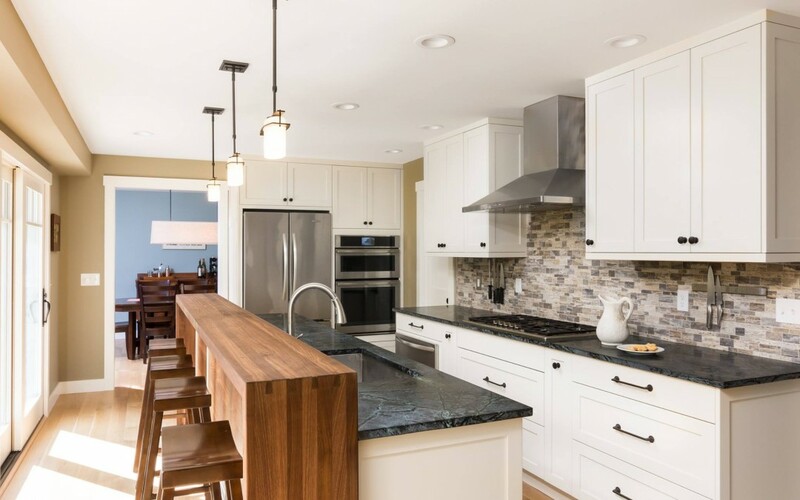 Here are some ways to mix wood countertop into your kitchen with a little bit of practicality and a whole lot of panache. This is going to be the no-brainer way. An island gives you a perfectly functional surface to facilitate getting stuff done in the kitchen. Whether that’s a family meeting spot after school, or preparing a feast for friends and family. 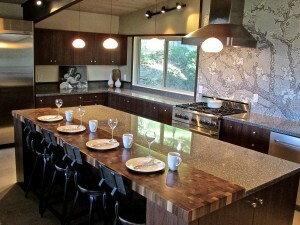 Wood island tops are not a difficult solution to imagine. 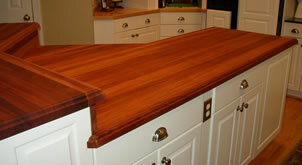 Many people like to get a butcher block or end grain island top to make food prep even easier. Going with a flat or edge grain island with permanent finish is still a great way to add a warm and homey presence to your kitchen, though. 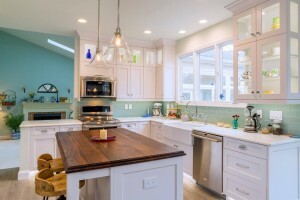 Raised bar tops can be added to several kitchen layouts. We have been building more and more raised bar tops for homeowners to enjoy. It adds depth and function to your space and provides a perfect area to gather for quick meals. One of our favorite projects to take on is raised bars with waterfall edges. It’s a slick contemporary look that draws the eye like few other features can.